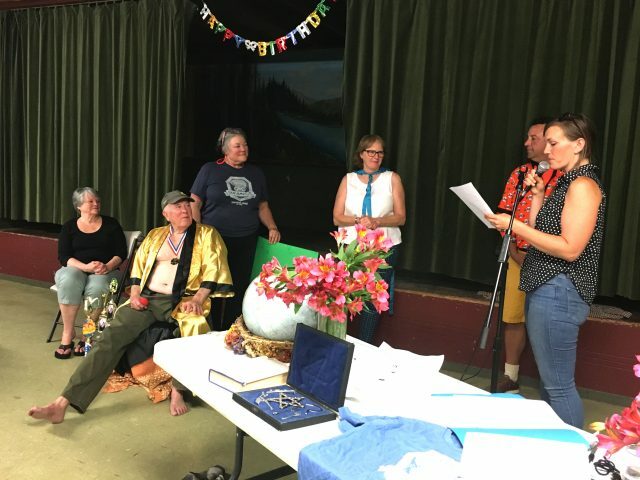 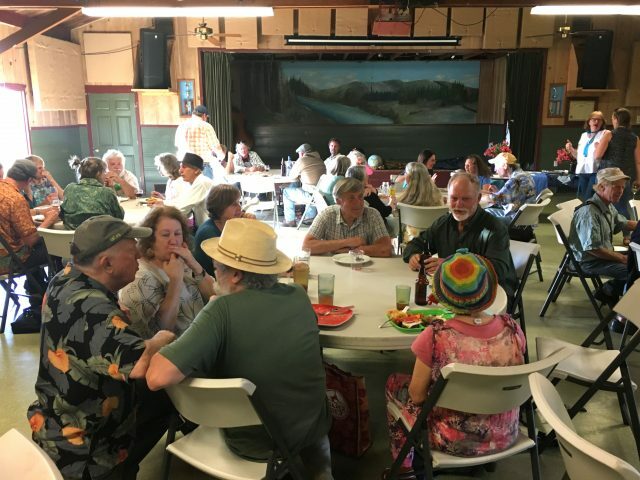 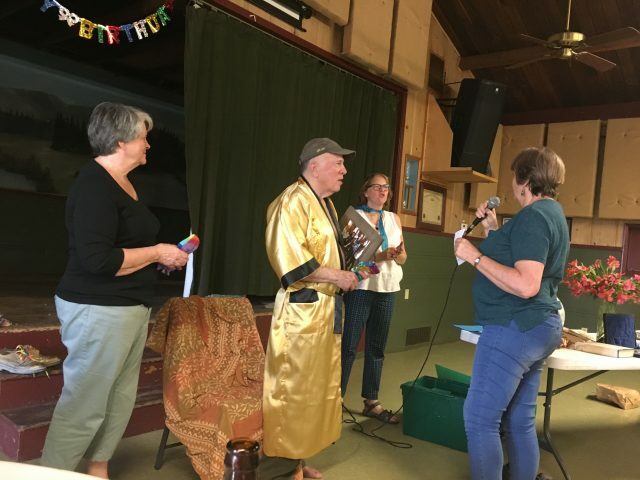 Grangers and friends celebrated the birthday of our dear friend and valued treasurer Gary Abreim at our June potluck, in his eighth year of service to our Grange. 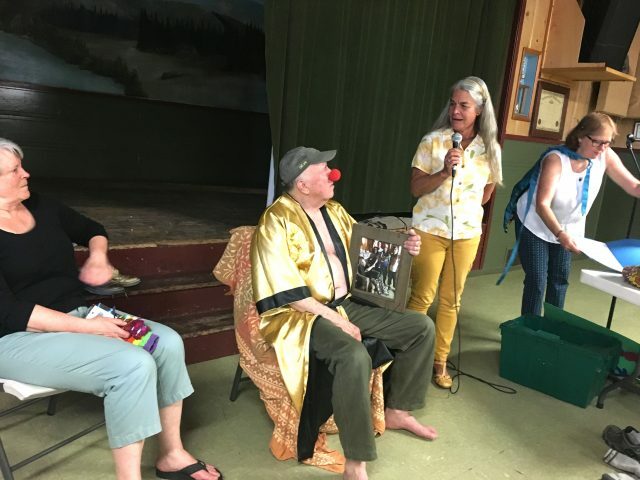 With a golden robe and clown nose, he was honored with trophies, tokens, songs, a poem and more! 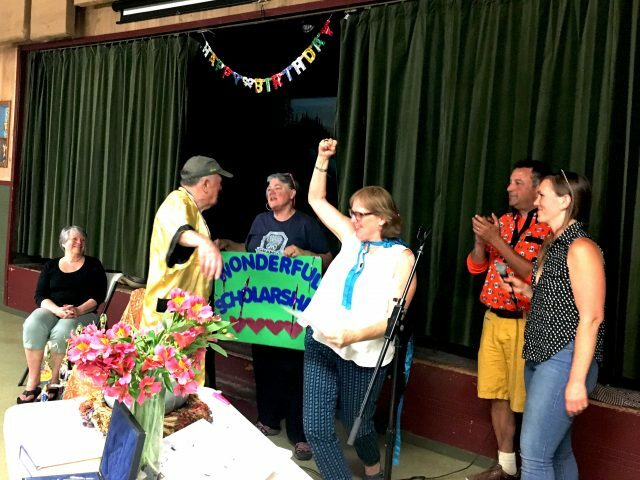 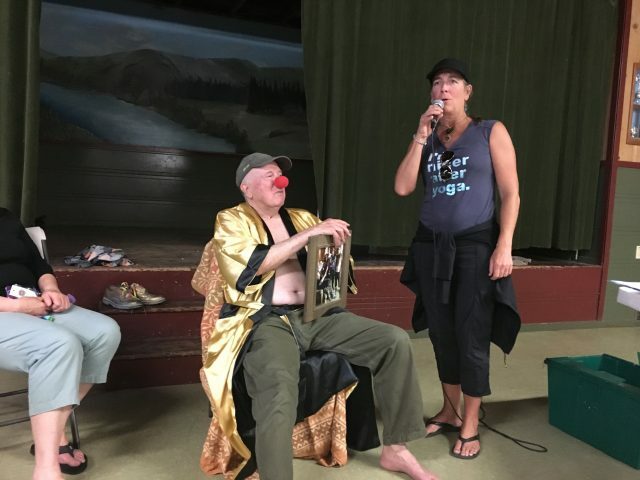 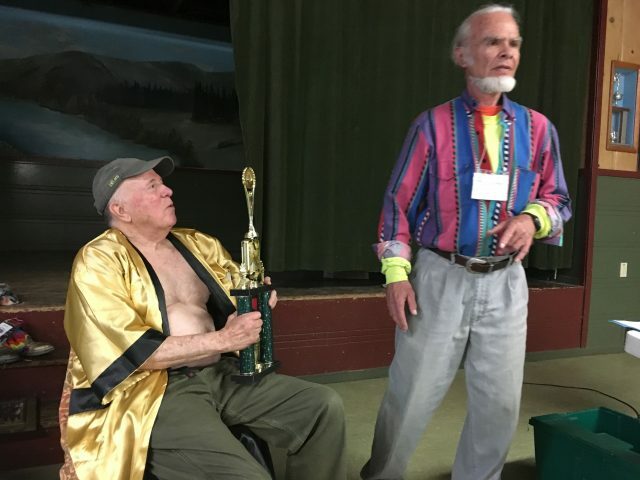 A scholarship in his name was made to his beloved Camp Winnarainbow, Wavy Gravy’s circus and performing arts camp for all ages. 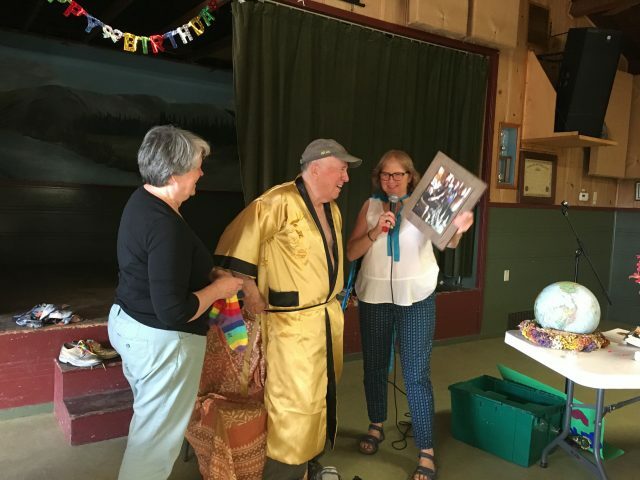 We love you, Gary – Happy Birthday!